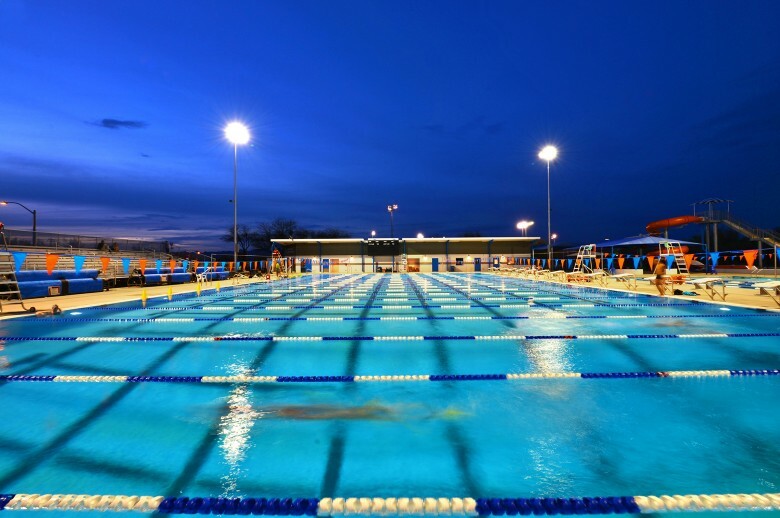 This one million gallon aquatic complex is used to host national competitions while also serving as a community pool for the residents of Oro Valley. The first phase included the complete renovation and extension of a 40 year old, 50-meter swimming pool, adding a scoreboard, one- and three-meter diving boards, and event lighting, making it a state-of-the-art competition facility. The second phase added a new bathhouse and recreation components including a 25-yard recreation pool, children’s splash pad, and water slide. The bathhouse includes administrative offices, lifeguard offices, concessions, and a multi-purpose classroom in addition to changing rooms and restrooms. A separate pump house and storage building utilize the salvaged steel structure from the original bathhouse that once served the facility. This entry was posted on August 21, 2013 by swaim_admin.